Paragon Honda believes that its people are its most important assets. Together, everyone achieves more. We work as a team, best utilizing our individual talents and skills to reach a common goal. Paragon Honda teammates help each other to balance their commitments to God, family and to the community they represent. Our teammates are empowered and trained to be leaders within our organization. At Paragon Honda we are defined by our integrity. We believe in doing what is right for our fellow teammates, our customers and our corporate partners. The core values of this company are what shape every action we take and every decision that is made. Our customers are important to us. They're family. We genuinely desire for our customers to feel valued and cared about whenever inside our doors. Every day, Paragon Honda teammates recommit themselves to exceeding the expectations of our customers. We are committed to continuing the Paragon Honda tradition of success and performance. Our teammates are empowered to overcome obstacles and do what it takes to satisfy our customers, lift up our fellow teammates and build profits. The automotive industry is rapidly progressing. Every day, Paragon Honda takes the initiative to find ways to achieve success through simpler, better, faster and leaner processes. We work daily to invest in the improvement of our teammates and develop resources to offer opportunities for personal growth and development. We strive for excellence in all that we do. 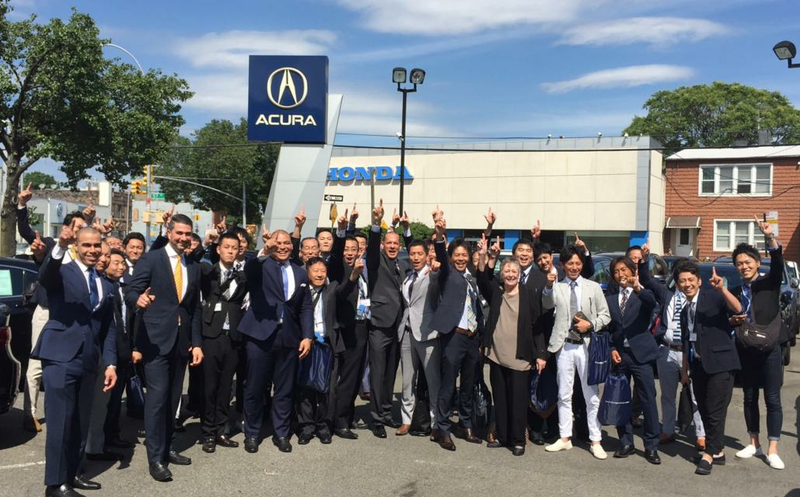 Paragon Honda believes that our teammates are our most important assets, along with our culture. Our people are the foundation of our brand. Our success as a whole is dependent on preserving our reputation of respect and quality. We are a company that believes in our core values and upholding them through great people, high standards and best practices. The emotional connections and the relationships formed between Paragon Honda and our customers are based on real experiences. We work with one customer at a time, knowing that their time and opinions are valuable and worth our undivided attention. Paragon Honda is consistent, yet adaptable. When you enter our dealership you can be assured that you will have a dependable, quality experience every time. But, like everything else, the automotive industry is quickly changing and Paragon Honda will change with it to remain the preferred choice of our customers and partners. Paragon Honda is professional, yet accessible. We believe that every experience should be handled with integrity and class. However, Paragon Honda prides itself on its grass-roots foundation and its core values. Every customer, every teammate, every partner is a member of our family. The Paragon Honda name is well known and well respected. Together, we have created an image that's resulted in a positive public perception. The image of a winner. The perception of quality.